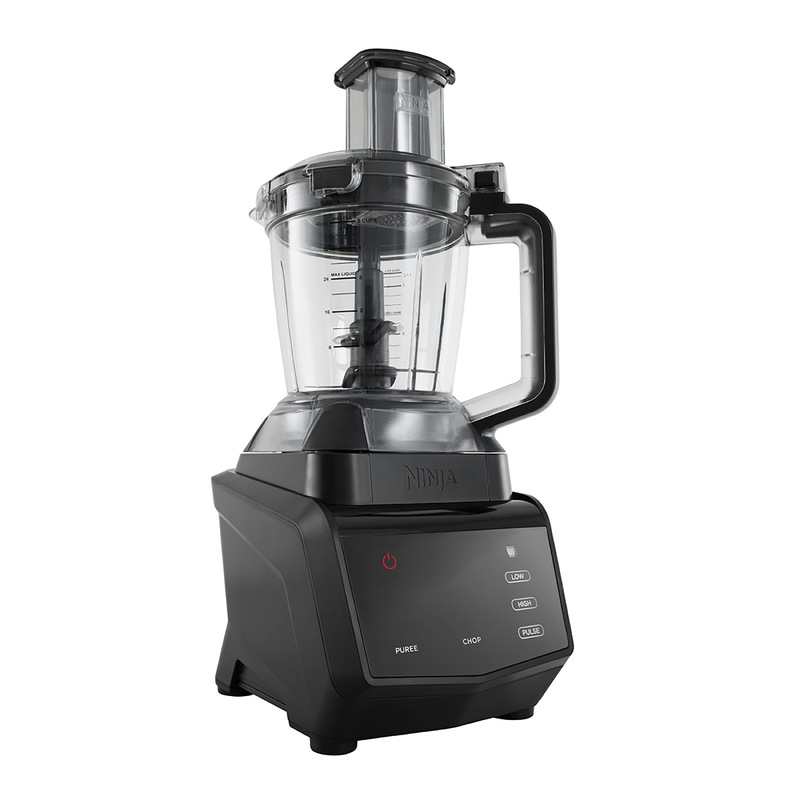 Ninja 1100W Smart Screen Food Processor with FreshVac Technology CT670UKV has been added to your basket! 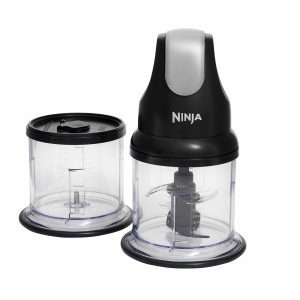 Ninja’s FreshVac Pump removes oxygen before blending. 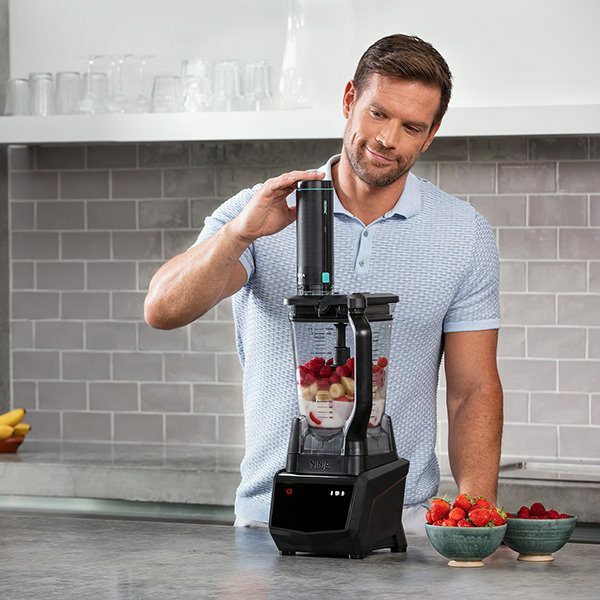 Vacuum blending locks in vitamins and creates a visibly bright, smooth drink with a rich taste, less foam and less separation than traditional blending. Simply press one button and let multiple pre-set programmes do the work for you. Unique pulse, pause and blend patterns are tailored to deliver the results you want, with no guesswork. Ninja’s Smart Screen LED display makes creating tasty treats easier than ever. Simple soft-touch controls combine cutting-edge technology with modern style. 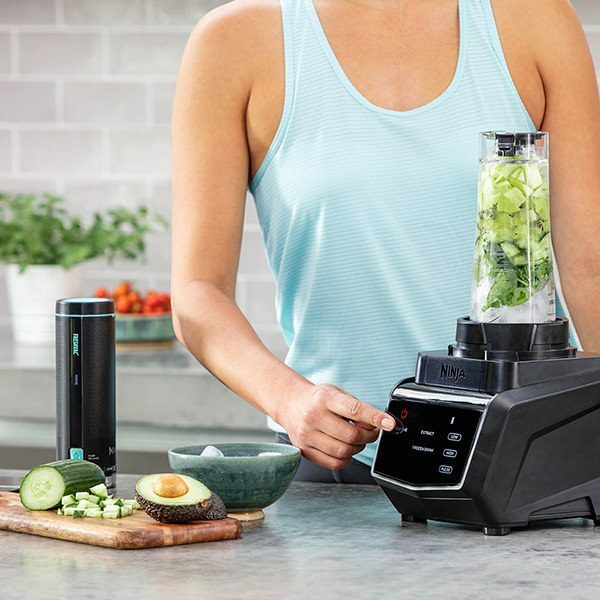 Blend healthy smoothies, tasty dips, desserts, sauces, soups and frozen cocktails or chop, grate and mix your way to snacks and full meals including salads, pizza doughs, meatballs, fishcakes and more with interchangeable attachments. 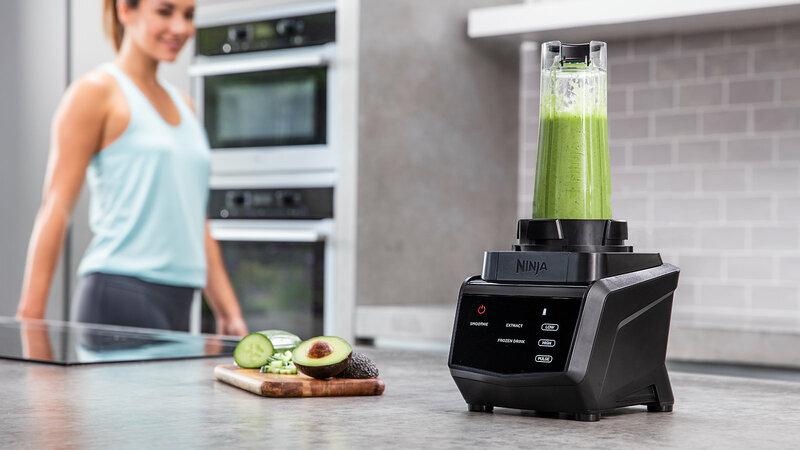 This 3-in-1 food processor, jug blender and Nutri Ninja personal blender is the first Ninja Kitchen System to feature brand new FreshVac vacuum blending technology. Oxygen can cause the discolouration and separation of fruits and vegetables when blended. Vacuum blending draws out oxygen before you blend. The result is a visibly bright, smooth drink with a rich taste, less foam and less separation than traditional blending. How do I vacuum blend? 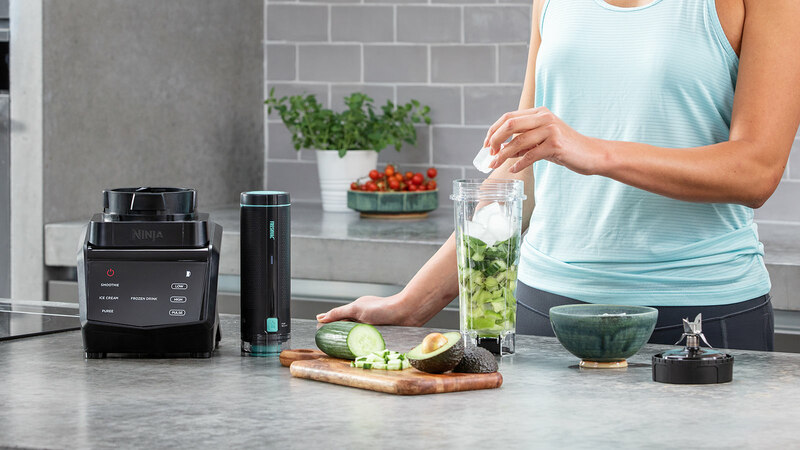 Compatible with both the Nutri Ninja cups and multi-serve blending pitcher, simply add your favourite ingredients then vacuum seal using the included FreshVac Pump before blending. Multiple pre-set programmes and Auto-iQ blending patterns promise consistent results every time, and they’re easy to use thanks to the touchscreen LED display. Complete with a food processing bowl and interchangeable chopping blade, dough blade and slicing/shredding disc, you can also chop, grate and mix your way to delicious meals, snacks, dips and doughs. From fishcakes, salads, burgers and hummus to pizza dough, crumbles, sorbets and cake mixes. 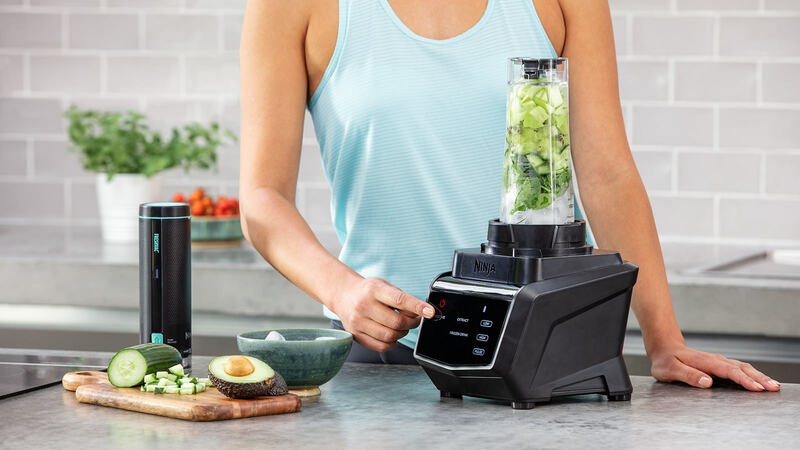 A powerful 1100-watt motor drives the interchangeable blades to blend and puree even the toughest ingredients, including fibrous fruit and veg, nuts, seeds and even ice. Can you make breads, sponges and cakes? Yes, Ninja food processors can be used for baking preparation. Up to 20,000 rpm depending on attachment and program selected. 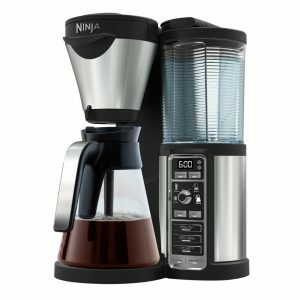 A coffee grinder attachment is available for Ninja Auto iQ products and this should be used to grind coffee beans. What is the capacity of the Blender Pitcher? The Blender pitcher has a working capacity of 2.1L. Can you blend frozen fruit and ice? Yes, Ninja blades break down frozen ingredients in seconds. Yes, all of our cups are BPA free. Can it make marinades or nut butters? Can it blend hard seeds and nuts? Hot liquids should never be blended in your Ninja blender. Allow the Soup to fully cool before blending. Some accessories are interchangeable depending on the model – please visit https://ninjakitchen.eu/uk/product-category/parts-accessories/ for more information. Yes, the blades are made with a high quality stainless steel that is rust-proof & dishwasher safe. Are there microwave safe parts? No, none of the parts should be used in the microwave. How do I care for my Ninja? Use a damp cloth to wipe the motor base clean. The cups, blade, and lids are dishwasher safe, and it is recommended to put everything on the top rack. Use extreme caution when cleaning & handling the blades. Always store the blades attached to the cup or a safe area. 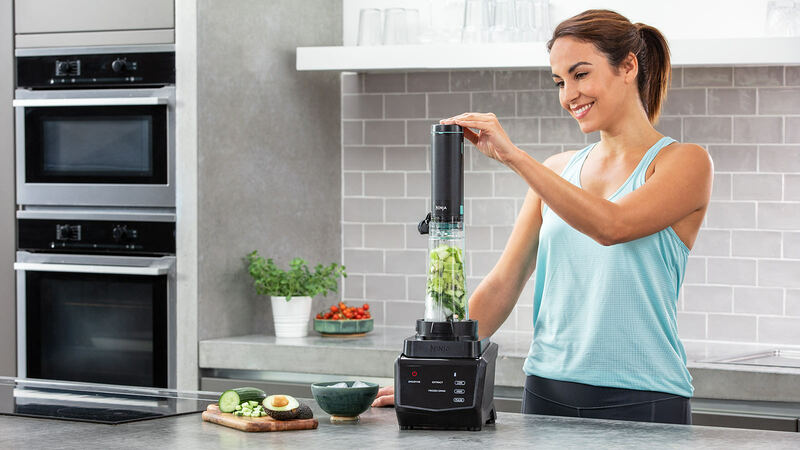 This product can blend whole fruits, vegetables, greens, seeds & stems into Nutrient-rich beverages in seconds! Traditional juicers provide little juice and remove the pulp which contains the healthy fibre, whereas nutrient and vitamin extraction provides juicing with the benefits of entire fruits and vegetables, not just the juice. These juices are bursting with health-boosting vitamins, minerals, antioxidants, trace elements and plant nutrients! FreshVac Technology is our next step in blending technology that involves removing oxygen from ingredients before blending to create longer-lasting smoothies, soups, dips, and dressings with brighter, more vibrant colours and improved textures compared to traditional blending. What is Auto IQ Technology? Auto–iQ Technology features intelligent programs that combine unique timed pulsing, blending and pausing patterns that do the work for you, taking the guesswork out of drink making. 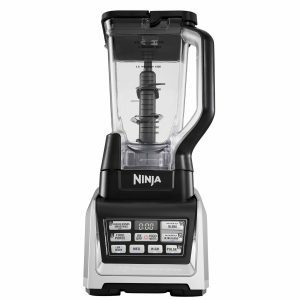 Ninja 1100W Smart Screen Food Processor with FreshVac Technology CT670UKV is rated 5.0 out of 5 by 55. Rated 5 out of 5 by Anna87 from So easy to set up and use! This came in a huge box of parts and my initial thought was "I do not want to start putting this together" .. I was wrong, it is so easy! Easy to peel off stickers tell you exactly how each part works. So far I have used this to make my own pasta sauce, using the puree function and it could not have been easier. It made light work of all my chopped veg. The only slight downside is it's loud but not any more so than any other I have used in the past. Rated 5 out of 5 by stevinix81 from A fantastic product with so many uses! 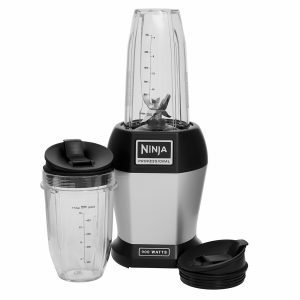 We love our Ninja as it is perfect for preparing my breakfast shake in the morning (the vaccuum is genius!) or even for whizzing something up for our 7 month old baby, all the way through to frozen coffee drinks and even my favourite homemade curry! I couldn't believe the vibrancy of the colour in my fruit smoothies with the FreshVac... brilliant! It is a great feature to have. It is very good quality and I would recommend to anyone who enjoys preparing fresh food. Rated 5 out of 5 by melina from Easy and quick This replaced my old ninja which I loved but I have been super happy with it. It does a lot more and even if I am not much of a chef I have found it easy to use and to clean. It makes great soups and I use it regularly for smoothies and chopping vegetables. My kids both will use it the morning to make their own smoothie (under supervision) and they find it smoother and prefer it to the ones I used to make. This means we have totally stopped buying ready made smoothies which has reduces waste quite a bit. Rated 5 out of 5 by EllyJoy from Everything your Kitchen and your health needs! I didn't think Ninja could improve on their previous models, but this is by far my favourite! Its everything you need to create delicious, versatile foods for yourself and the whole family. My favourites at the moment are smoothie bowls and humous! The seek design makes the ninja look stylish in any kitchen. I totally love it and would highly recommend! Rated 5 out of 5 by MollyM from Couldn't have managed Detox week without it Having committed myself to a week of (mainly soup based) detox I spent a weekend batch cooking and putting the Ninja Food Processor through its paces. Wow, what a gadget - we're now firm friends. It saved me so much time chopping, slicing, grating, blending & I now have a freezer was bursting with delicious, nutritious soups. Thank you Ninja!! Rated 5 out of 5 by yaswakefield from A Kitchen Essential This is a kitchen must have and I only wish that I'd had one so much sooner because in the past month it's made my life so much easier! I use it several times a day - the range of jugs and blades makes it so versatile and it's suited to all of your kitchen needs. This processor does everything - replacing multiple devices with one high quality product, saving time money and space. 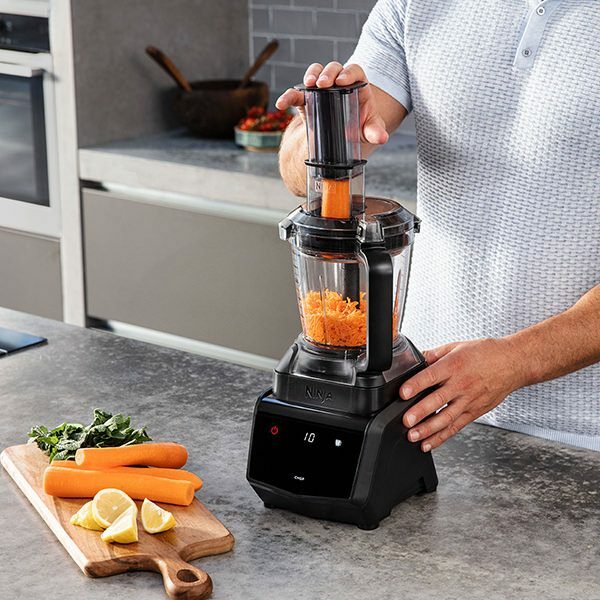 Ideal for making everything from nice cream, to smoothies, soups and dough whilst being on hand to chop veggies and even powerful enough to grind nuts and seeds in seconds. 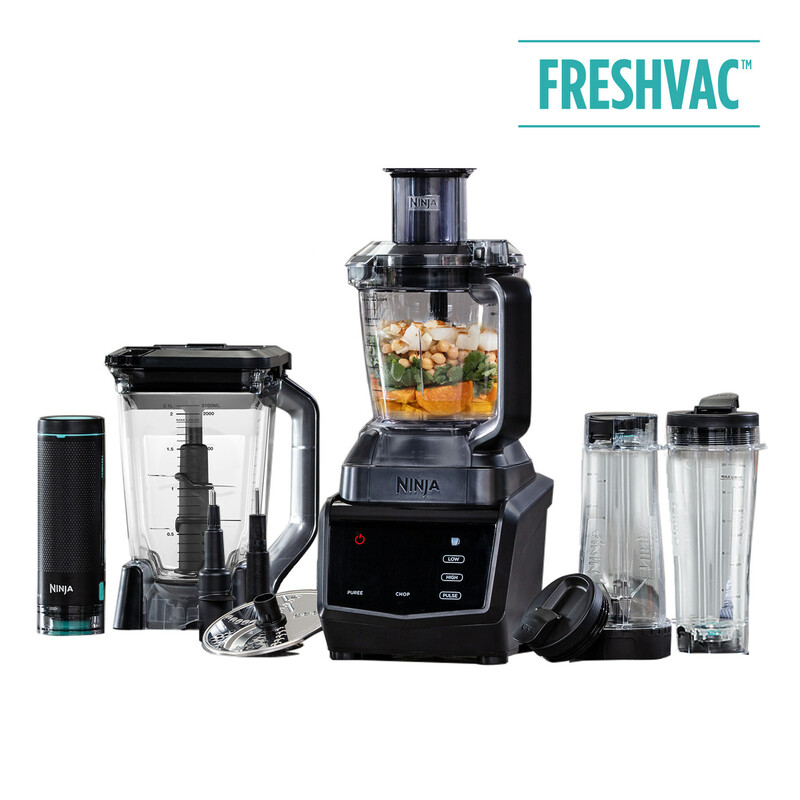 The freshvac technology means that my smoothies stay fresher for longer and taste so much better. I love the ease of use that the touch screen provides and the range of blending settings means that any task can be performed with ease. My favourite is the ice cream setting which makes blending a morning smoothie or nice cream bowl the absolute dream, cutting down on prep time by over 10 minutes. Going from a small, individual jug blender to this has been an absolute game changer and I can't recommend it enough. Rated 5 out of 5 by Chloe from Amazed - best kitchen appliance ever! Wow, what can I say!? As a solid Nutri Bullet customer for the past 3 years I was not sure a product could beat it, but I was wrong. 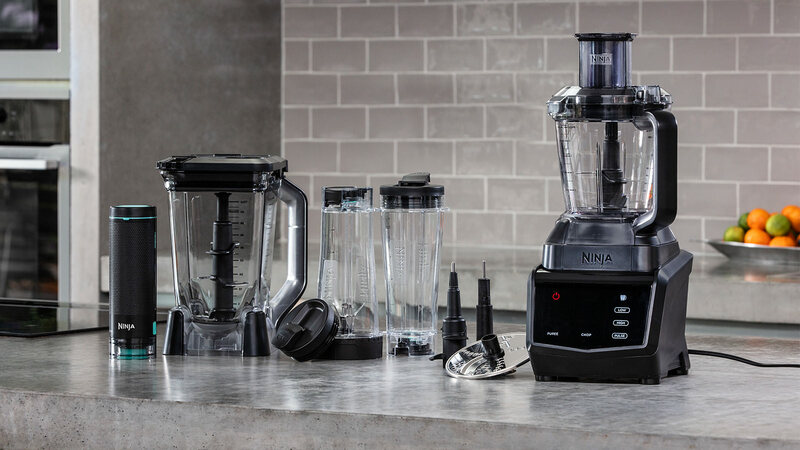 The versatility of the Ninja is unbelievable; I only used my Nutri Bullet for sauces and smoothies so having a machine that can 'do it all' really is brilliant. 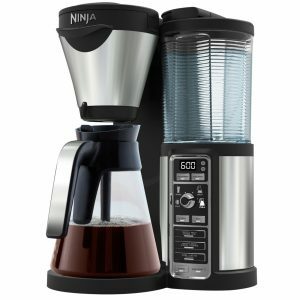 At first I was a little overwhelmed by all of the parts that came with the Ninja and what to do with them but the user-friendly user guide helped me understand what each part was for. 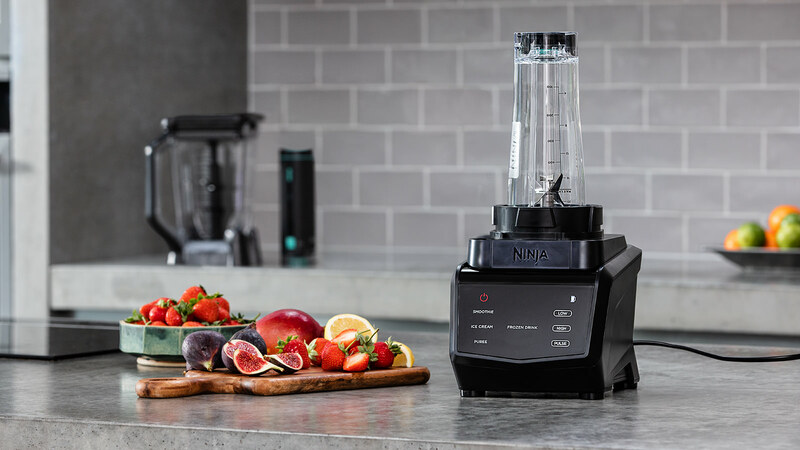 So far, I have used my Ninja for chopping and grating vegetables (in seconds), making soup blends, smoothies, purees and nut butters . I will certainly be using it to make cocktails in the summer too. The parts are easy to clean and store away also. I prep all of my meals (for before and after the gym and around working full time) so this product has saved me so much time and energy. I would recommend this product to anybody wanting to save time in the kitchen and create some quick and brilliant recipes. Rated 5 out of 5 by JakeB from It's the future! For a time I'd been using a small gerbil-sized food processor for the odd recipes that required freshly puréed herbs, pulped onions, or nuts and seeds turned into a snortable powder. Over time, I think I've become a more adventurous cook, and the gerbil pulser wasn't cutting the mustard. 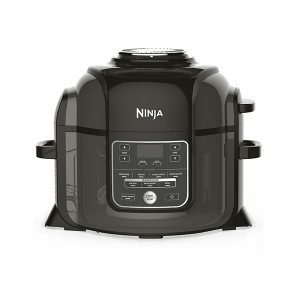 I needed an upgrade, and that's where This Ninja 1100W Smart Screen Food Processor with FreshVac Technology came in. 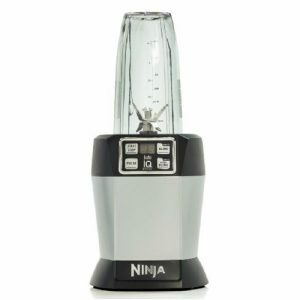 Modern do-it-all food processors are intimidating in their futuristic, tank-like design and this Ninja one isn't an exception, being an indestructible multi-headed mammoth with a touch screen display. That being said, it is so easy to use! I even utilised the FreshVac technology with a butternut squash soup, and it was VERY smooth. I've since made more soups, pâtés etc. and I'm absolute chuffed with how well it works. I couldn't recommend it enough.